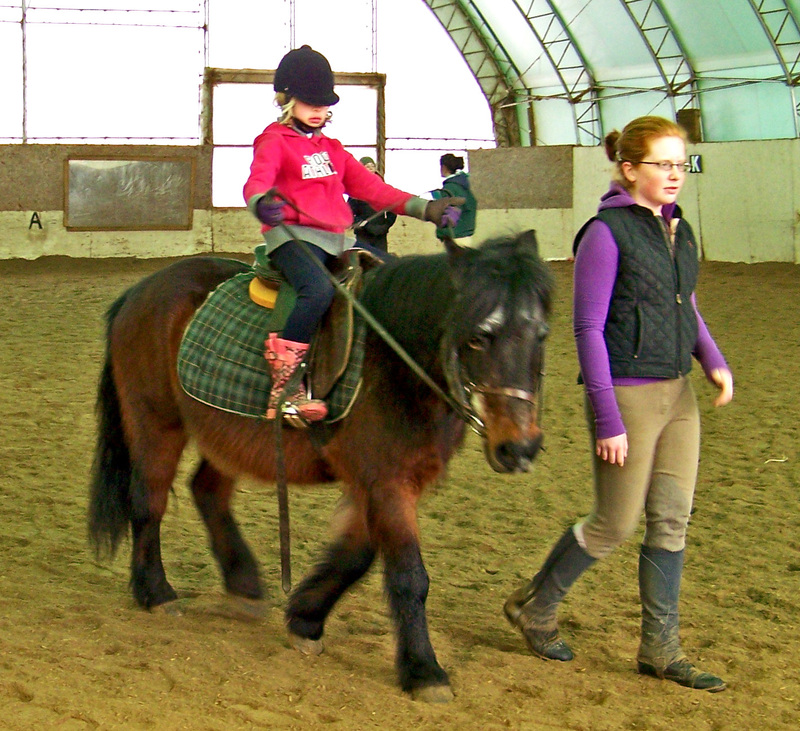 We offer basic weekly riding lessons, in which we follow the National Rider Level Program. Some students prefer to concentrate their skill development and will ride two or more times a week. Rider Level testing is offered in the spring once riders have honed their skills over the fall and spring terms. We offer our students two home shows a year – at the end of the spring and fall semesters. Once the riders have competed in a minimum of two home shows, they are eligible to join our show team to compete off site. We attend a local schooling show series and learn essential sportsmanship and team work skills. Once a rider has been on the show team for three or more years, they are invited to compete at a variety of off site shows. We also offer our clients numerous clinics and educational opportunities during the year. We bring in specialists in Dressage and Hunter Jumper training. We also have seminars on training the horse with correct horsemanship and demonstrations on a variety of health techniques that benefit our horses. Every summer we hold a Coaching Course based on the National Coaching Program. Students are prepared to meet the requirements of the Instructor or Coach 1 exams. Because of the size of our school, there is plenty of opportunity to work with many rider levels. Students can also Part Board any one of our wonderful school horses. We offer birthday parties, quadrille classes, March Break and Summer Day Camps. Our mandate is to provide whatever equestrian service our clients want or need. Caledon Equestrian School is a facility to learn about and love horses. If we can provide that learning opportunity, we do!